If a short term rental host takes their ad down, that essentially puts them out of business. These days, the internet is how most advertising reaches people, and brand name websites like Airbnb and HomeAway are the most common ways people search for short term rentals at their destination of choice throughout the world. Furthermore, payment is collected through online payment processors so hosts do not like to have a day booked without a payment up front. Otherwise the room can risk being cancelled and the host doesn’t make money that way. This doesn’t prevent the host from putting an ad in the local paper or putting a “for rent” sign on their lawn or posting a paper ad on a City bulletin board but it does significantly reduce the target audience. This method of compliance is under-rated because there will now be fewer rentals in the inventory for a city, which in theory should drive the guests to book with a licensed STR. The problem with an ad going down is it might resurface sometime in the future. Sometimes the listing comes up at night, and goes down during the day. 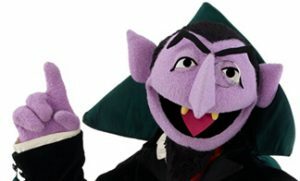 That is typically called a Vampire Listing. Sometimes the host has not taken their ad down and the listing remains up for years on end without update. That’s called a Zombie listing. Harmari STR can help with ensuring it does not come back to life and remain non-compliant. 24/7 monitoring of whether this ad is always down will be required. For many municipalities there is a threshold of stay duration above which a property may not be considered a short term rental. That threshold is typically between 27 to 31 nights. California law requires a minimum night stay to be 31 nights to be exempt from treatment as a short term rental. Nevertheless, by being in the exempt zone, the short term rental websites typically filter out properties when the guest books a check in and check out date that is less than the minimum stay listed for the property. This doesn’t guarantee that every stay is going to be exempt, because collusion between the guest and the host is still possible. Perhaps the guest negotiates with the host on private messages to see if she would be willing to rent out for less nights. In any case the over mention of 31 or more minimum nights will discourage most from staying short term there. The third way a municipality can gain compliance is to have the host register and obtain their business license. This allows a City to ensure the necessary checklists for health and safety can be followed, for the proper procedures outlined for guests, and respecting of a City’s quiet hours. It is usually a good idea for a municipality to collect the owner’s name, property manager’s name, and 24-hour local contact name and phone number so that in an emergency, someone from the City can contact somebody to deal with short term rental problems such as noise, parking, overcrowding and garbage. Furthermore, the lodging tax can now be collected and if necessary, audited. With a comprehensive registration and payment system like Harmari STR, hosts can be licensed quickly and efficiently. An often-overlooked aspect of drawing up an ordinance for short term rentals is to require all online advertising to post a permit number or business license in the body of the ad. That way, City enforcement officers can quickly determine if the listing is permitted or not. 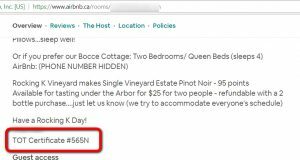 In VRBO and Flipkey ads it is very easy to simply copy/paste their number in there. The Airbnb listing makes this a bit more difficult, but some locations Airbnb allows listings to have a special section to insert a license number without being blocked. This does not guarantee that someone can’t simply copy/paste someone else’s permit number on their ad and pretend to be compliant. Overall, STR operators will respond in their own unique way. 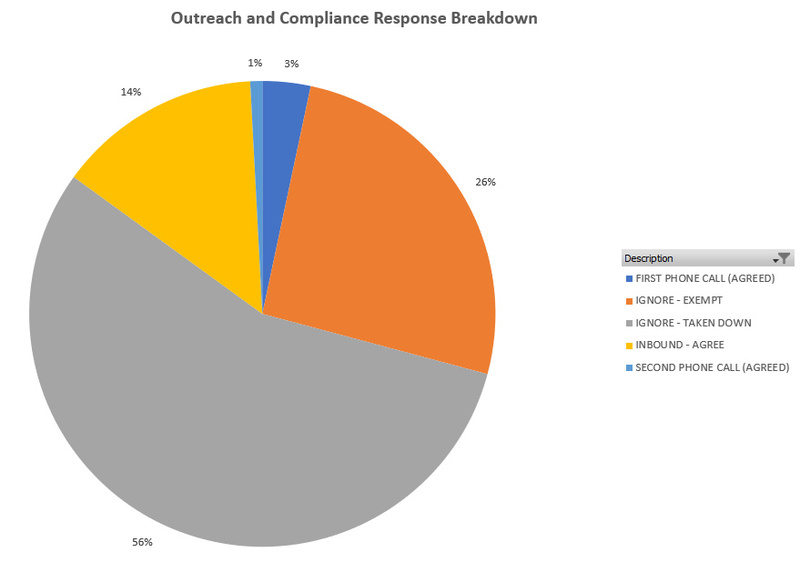 But as a reference point, here is some sample data on the relative ratios of compliance – Ad Taken down, Became Exempt (due to 31+ night stay), and Agreed (to obtain a license). Technology like Harmari’s STR solution can help ensure short term rentals remain compliant online and in real life. Contact us today for more information.